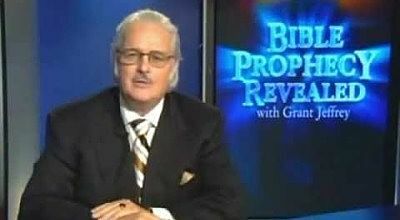 Over the last 30 years I have been fascinated with Bible prophecy because it authenticates the Scriptures as God’s inspired Word and it points to the imminent return of Jesus Christ to usher in the Messianic kingdom. I am always delighted when God leads me to new information that confirms His Word. In my ongoing research into recent archaeolological discoveries and into writings of Early Church leaders I have made several exciting new discoveries that I want to share with my readers. In this chapter we will explore a number of interesting discoveries about the following subjects: the finding of a teaching about the pre-Tribulation Rapture from the first centuries of the Early Church; the archaeological discoveries of the tombs of Mary, Martha, and Lazarus that prove the historical accuracy of the Gospels; and the proof that miraculous healings, raising of the dead, and the charismatic gifts were common among believers during the first three centuries following the resurrection of Christ. Obviously, the truth about the timing of the Rapture will ultimately be found only in Scripture. The Protestant Reformation was based essentially on this return to the authority of the Bible. The Latin phrase Sola Scriptura, meaning “Scripture Alone,” became the rallying cry of the reformers who ignored centuries of tradition and church councils in their insistence that truth could only be discovered in the Word of God. 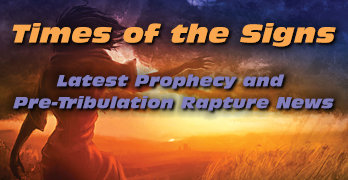 While the ultimate resolution of this discussion must be based on our interpretation of Scripture, it is important to answer the errors of our opponents who disparage “the blessed hope” of the Rapture with misinformation about the modem rediscovery of the truth about the pre-Tribulation Rapture. Many post-tribulationist writers have attacked the pre-Tribulation Rapture doctrine by claiming that it cannot be true because no Church writer or reformer ever taught this doctrine until approximately 170 years ago. While the real question for sincere students of Scripture must be whether or not the Bible truly teaches this doctrine, the argument that no one ever saw this “truth” throughout the 1,800 years of Church history has been very effective, causing many Christians to abandon their belief in the pre-Tribulation Rapture. The only problem with their argument is that they are totally wrong. Many contemporary writers claim that the pre-Tribulation Rapture theory first originated around A.D. 1820. They ascribe the theory’s initial creation to either Emmanuel Acurnza (Ben Ezra, 1812), Edward Irving (1816), or Margaret Macdonald (1830), and finally to John Darby (1830). For example, Dave MacPherson in The Incredible Cover-Up, written in 1975, stated, “Margaret Macdonald was the first person to teach a coming of Christ that would precede the days of Antichrist.”‘ Before 1830 Christians had always believed in a single future coming, that the catching up of I Thessalonians 4 will take place after the Great Tribulation of Matthew 24 at the glorious coming of the Son of Man when He shall send His angels to gather together all of His elect.” Reverend John Bray, in The Origin of the Pre- Tribulation Rapture Teaching (1980), declared, “People who are teaching the pre-Tribulation Rapture today are teaching something that never was taught until 1812…. Not one of those Early Church fathers taught a pre-Tribulation Rapture…. I make the offer of five hundred dollars to anybody who will find a statement, a sermon, article in a commentary, or anything, prior to 1812 that taught a twophase coming of Christ separated by a stated period of time, such as the pre-Tribulation rapturists teach. Those writers, among others who despise the teaching of the pre-Tribulation Rapture, dogmatically assert that it was taught for the first time in 1830 by John Darby and the Plymouth Brethren or one of the other individuals mentioned above. The early Christian writer and poet, Ephraem the Syrian (who lived from A.D. 306 to 373), was a major theologian of the early Byzantine Eastern Church. He was born near Nisbis in the Roman province of Syria, near present-day Edessa, Turkey. Ephraem displayed a profound love of the Scriptures in his writings as illustrated by several of his written comments quoted in Works of Nathaniel Lardner (vol. 4, 1788). “1 esteem no man more happy than him who diligently reads the Scriptures delivered to us by the Spirit of God, and thinks how he may order his conversation by the precepts of them.” To this day his hymns and homilies are used in the liturgy of the Greek Orthodox and Middle Eastern Nestorian Church. While the 16-volume Post-Nicene Library includes a number of homilies and psalms by Ephraem the Syrian, the editors noted that he also wrote a large number of commentaries that have never been translated into English. Ephraem’s fascinating teaching on the Antichrist has never been published in English until now. This critically important prophecy manuscript from the fourth century of the Church era reveals a literal method of interpretation and a teaching of the pre-millennial return of Christ. More importantly, Ephraem’s text revealed a very clear statement about the pre-tribulational return of Christ to take His elect saints home to heaven to escape the coming Tribulation. In addition, Ephraem declares his belief in a personal, Jewish Antichrist, who will rule the Roman Empire during the last days, a rebuilt temple, the two witnesses, and a literal Great Tribulation lasting 1,260 days. It is also fascinating to note that he taught that the war of God and Magog would precede the tribulation period. I discovered another text by Ephraem called The Book of the Cave of Treasure that revealed he taught that Daniel’s seventieth week will be fulfilled in the final seven years at the end of this age that will conclude with Christ’s return at the Battle of Armageddon to establish His kingdom. The following section includes key passages from Ephraem’s important text, written about A.D. 373, and translated by Professor Cameron Rhoades of Tyndale Theological Seminary at my request. 2. We ought to understand thoroughly therefore, my brothers, what is imminent or overhanging. Already there have been hunger and plagues, violent movements of nations and signs, which have been predicted by the Lord, they have already been fulfilled, and there is not other which remains, except the advent of the wicked one in the completion of the Roman kingdom. Why therefore are we occupied with worldly business, and why is our mind held fixed on the lusts of the world or the anxieties of the ages? Why therefore do we not reject every care of earthly actions and prepare ourselves for the meeting of the Lord Christ, so that He may draw us from the confusion, which overwhelms the world? Believe you me, dearest brothers, because the coming of the Lord is nigh, believe you me, because the end of the world is at hand, believe me, because it is the very last time…. Because all saints and the Elect of the Lord are gathered together before the tribulation which is about to come and are taken to the Lord, in order that they may not see at any time the confusion which overwhelms the world because of our sins [italics added]. And so, brothers, most dear to me, it is the eleventh hour, and the end of this world comes to the harvest, and angels, armed and prepared, hold sickles in their hands, awaiting the empire of the Lord…. 3. When therefore the end of the world comes, there arise diverse wars, commotions on all sides, horrible earthquakes, perturbations of nations, tempests throughout the lands, plagues, famine, drought throughout the thoroughfares, great danger throughout the sea and dry land, constant persecutions, slaughters and massacres everywhere…. 4. When therefore the end of the world comes, that abominable, lying and murderous one is born from the tribe of Dan. He is conceived from the seed of a man and from a most vile virgin, mixed with an evil or worthless spirit…. 5. But when the time of the abomination of his desolation begins to approach, having been made legal, he takes the empire…. Therefore, when he receives the kingdom, he orders the temple of God to be rebuilt for himself, which is in Jerusalem; who, after coming into it, he shall sit as God and order that he be adored by all nations … then all people from everywhere shall flock together to him at the city of Jerusalem, and the holy city shall be trampled on by the nations for forty-two months just as the holy apostle says in the Apocalypse, which become three and a half years, 1,260 days. 6. In these three years and a half the heaven shall suspend its dew; because there will be no rain upon the earth … and there will be a great tribulation, as there has not been, since people began to be upon the earth … and no one is able to sell or to buy of the grain of the fall harvest, unless he is one who has the serpentine sign on the forehead or the hand…. 7. And when the three and a half years have been completed, the time of the Antichrist, through which he will have seduced the world, after the resurrection of the two prophets, in the hour which the world does not know, and on the day which the enemy or son of perdition does not know, will come the sign of the Son of Man, and coming forward the Lord shall appear with great power and much majesty, with the sign of the word of salvation going before him, and also even with all the powers of the heavens with the whole chorus of the saints …. Then Christ shall come and the enemy shall be thrown into confusion, and the Lord shall destroy him by the Spirit of his mouth. And he shall be bound and shall be plunged into the abyss of everlasting fire alive with his father Satan; and all people, who do his wishes, shall perish with him forever; but the righteous ones shall inherit everlasting life with the Lord for ever and ever. 6. He summarized: “There will be a great tribulation, as there has no been since people began to be upon the earth,” and described the Mark of the Beast system. Dr. Paul Alexander, perhaps the most authoritative scholar on the writings of the early Byzantine Church, concluded that Ephraem’s text on the Antichrist taught that the Lord would supernaturally remove the saints of the Church from the earth “prior to the tribulation that is to come.” Ephraem wrote that the saints will be “taken to the Lord lest they see the confusion that is to overwhelm the world because of our sins.” Dr. Alexander believed this text was written by some unknown writer in the sixth century, but he concluded that it was derived from an original Ephraem manuscript (A.D. 373). Other scholars, including the German editor Professor Caspari, who wrote a German commentary on this Latin manuscript in 1890, believed that Ephraem’s manuscript was written by the genuine Ephraem in A.D. 373. Professor Cameron Rhoades translated Ephraem’s Latin text into English at the request of my friend Dr. Tommy Ice and myself. A question naturally arises in the mind of Bible students about how long Ephraem believed the Tribulation would last. While Ephraem correctly describes the “great tribulation” as three and a half years, his other writings revealed that he believed the whole tribulation period, “that sore affliction,” would last “one week” of seven years. Ephraem’s book, The Book of the Cave of Treasures, taught about the genealogy of Christ. He wrote that the sixty-ninth week of Daniel 9:24-27 ended with the rejection and crucifixion of Jesus the Messiah. He stated, “The Jews have no longer among them a king, or a priest, or a prophet, or a Passover, even as Daniel prophesied concerning them, saying, ‘After two and sixty weeks Christ shall be slain, and the city of holiness shall be laid waste until the completion of things decreed’ (Dan. 9:26). That is to say, for ever and ever” (italics added, The Cave of Treasures, page 235). In Daniel’s prophecy he foretold that Jerusalem would be rebuilt “even in troublesome times” during the initial period of “seven weeks” of years (49 years). Daniel’s prophecy declared that this initial period of seven “weeks” of years would be immediately followed by a further period of 62 “weeks” of years ending with the cutting off of the Messiah (483 years). The combined total of 69 weeks of years (7 weeks plus 62 weeks) was to conclude with the rejection of Christ. As quoted above, Ephraem taught that Jesus Christ was slain at the end of the combined 69 weeks of years. However, in the section of his book dealing with the future war of God and Magog, Ephraem wrote about the final (seventieth) week of Daniel as follows: “At the end of the world and at the final consummation … suddenly the gates of the north shall be opened. … They will destroy the earth, and there will be none able to stand before them. After one week of that sore affliction [Tribulation], they will all be destroyed in the plain of Joppa. . . .
Then will the son of perdition appear, of the seed and of the tribe of Dan…. He will go into Jerusalem and will sit upon a throne in the Temple saying, ‘I am the Christ,’ and he will be borne aloft by legions of devils like a king and a lawgiver, naming himself God…. The time of the error of the Antichrist will last two years and a half, but others say three years and six months” (italics added). Although there are some curious elements in his description of prophetic events, it is clear that Ephraem believed that the seventieth final week of Daniel’s prophecy of the 70 weeks will finally be fulfilled during the final seven years of this age when the Antichrist will appear. This evidence of a belief in a “gap” or “parenthesis” between the sixty-ninth and seventieth week of Daniel 9:24-27 from the fourth century of the Christian era is significant. It is worthwhile to note that the teaching that there would be a “gap” or parenthesis between Daniel’s sixty-ninth week and the seventieth week of years was also taught by others in the Early Church, including the epistle of Barnabas (A.D. 110) and the writings of Hippolytus (A.D. 220). Dr. John Gill, a famous eighteenth-century Baptist theologian, published his commentary on the New Testament in 1748. He is considered a serious Calvinist scholar who wrote many volumes on theology. In his commentary on I Thessalonians 4:15-17, Dr. Gill points out that Paul is teaching a doctrine that is “something new and extraordinary.” Gill calls the imminent translation of the saints “the rapture” and calls for watchfulness because “it will be sudden, and unknown before-hand, and when least thought of and expected.” This is a clear, detailed 1748 teaching on the imminent pre- Tribulation Rapture (80 years prior to John Darby in 1830). “For this we say to you by the word of the Lord, that we which are alive and remain unto the coming of the Lord shall not prevent them which are asleep” (I Thess. 4:15). Gill’s commentary on this passage is: “The Apostle, having something new and extraordinary to deliver concerning the coming of Christ, the first resurrection, or the resurrection of the saints, the change of the living saints and the Rapture both of the raised, and living in the clouds to meet Christ in the air expresses itself in this manner” (italics added). “Then we which are alive and remain shall be caught up together with them in the clouds, to meet the Lord in the air; and so shall we ever be with the Lord” (I Thess. 4:17). In commenting on this verse Gill revealed that he understood there would be an interval of time between the Rapture and the return of saints with Christ at Armageddon. Suddenly, in a moment, in the twinkling of an eye, and with force and power; by the power of Christ, and by the ministry and means of the holy angels; and to which rapture will contribute the agility, which the bodies both of the raised and changed saints will have; and this rapture of the living saints will be together with them; with the dead in Christ, that will then be raised; so that the one will not prevent the other, or the one be sooner with Christ than the other; but one being raised and the other changed, they’ll be joined in one company and general assembly, and be rapt up together: in the clouds; the same clouds perhaps in which Christ will come will be let down to take them up; these will be the chariots, in which they’ll be carried up to Him; and thus, as at our Lord’s ascension a cloud received Him, and in it He was carried up out of the sight of men, so at this time will all the saints ride up in the clouds of Heaven: to meet the Lord in the air; whither He’ll descend… here Christ will stop and will be visible to all, and as easily discerned by all, good and bad, as the body of the sun at noonday; as yet He will not descend on earth, because not fit to receive Him; but when that and its works are burnt up, and it is purged and purified by fire, and become a new earth, He’ll descend upon it, and dwell with His saints in it: and this suggests another reason why He’ll stay in the air, and His saints shall meet Him there, and whom He’ll take up with Him into the third heaven, till the general conflagration and burning of the world is over, and to preserve them from it: and then shall all the elect of God descend from heaven as a bride adorned for her husband, and He with them … then they shall be with Him, wherever He is; fist in the air, where they shall meet Him; them in the third heaven, where they shall go up with Him; then on earth, where they shall descend and reign with Him a thousand years; and then in the ultimate glory to all eternity. To summarize Dr. Gill’s 1748 pre-Tribulation Rapture teaching about the sequence of prophetic events it is vital to note that he declared: to all. Why is it important to teach the doctrine of the pre-Tribulation Rapture? The apostle Peter warned that many people would challenge our Lord’s promise of His second coming in the last days. “Knowing this first; that scoffers will come in the last days, walking according to their own lusts, and saying, ‘Where is the promise of His coming?’ (2 Pet. 3:3-4). What does the Bible teach us about the proper attitude of a Christian on the subject of Christ’s return? Paul tells us, “So that you come short in no gift, eagerly waiting for the revelation of our Lord Jesus Christ” (I Cor. 1:7). life. Far from being an unimportant issue, interesting only to students of prophecy, the “blessed hope” of the Rapture should be a cornerstone of every Christian’s spiritual life. 1. – It calls us to constant watchfulness for His return (I Thess. 5:4-6). 2. It motivates Christians to witness to unbelievers in light of His imminent coming (John 9:4). 3. It reminds us to walk in holiness in an immoral world while we await His return (I John 3:3). 4. It comforts the saints by reminding them of their eternal destiny with Christ (John 14:1-3). 6. It inspires us to persevere against opposition in light of His reward (2 Tim. 4:1-8). 7. It encourages sinners to repent and accept the Lord while there is still time (Acts 3:19-21). The promise in the Scriptures of the imminent second coming of the Messiah, Jesus Christ, is the last best hope of mankind. It is the promise of the ultimate vindication of God’s plan to redeem mankind and the earth from the curse of sin and death. The final realization of Jesus Christ’s claim that He is the promised Messiah, and the fulfillment of prophecies about the coming kingdom of God will culminate when the heavens open to reveal Christ coming in all His glory at the Battle of Armageddon. However, the Scriptures teach that another event will occur before Christ comes to defeat the Antichrist and the armies of the world at Armageddon at the end of the sevenyear tribulation period. This separate and earlier event is often called the Rapture. Throughout the Bible the passages that detail the revelation of Christ at the end of the tribulation period describe a totally different event than those passages describing the coming of Christ in the air to take the saints home to heaven. The longing for the Rapture and the return of Christ has motivated generations of Bible students to examine the Scriptures in a search for clues as to the exact timing of His glorious appearing. Unfortunately, despite clear scriptural warnings against date-setting regarding the time of His return, many have indulged in unhelpful speculation about the time of the Rapture. Harold Camping’s book 1994, for example, claimed that Christ would return on September 17, 1994. Millions of followers of these writings have been deeply disappointed when their foolish predictions proved false. However, despite these disappointments, we must not abandon our hope for an imminent Rapture. We must simply be obedient to Christ’s command that “Now when these things begin to happen, look up and lift up your heads, because your redemption draws near” (Luke 21:28). The Bible warns us to live in holiness because Christ could return at any moment, without warning. Jesus, in Luke 12:37 and 40, admonished, “Blessed are those servants, whom the master, when he comes, will find watching …. Therefore you also be ready, for the Son of Man is coming at an hour you do not expect.” Peter, in his second epistle, said, “You therefore, beloved, since you know these things beforehand, beware lest you also fall from your own steadfastness, being led away with the error of the wicked” (2 Pet. 3:17). We must live in a dynamic spiritual balance. While we are commanded to live in holiness and urgently ‘witness as though He will return before the dawn, we are called to plan and work to fulfill the Great Commission as if He will tarry for another hundred years. We are to “do business [‘occupy’ in the Authorized Version] till I come” (Luke 19:13), fulfilling Christ’s Great Commission to “go therefore and make disciples of all the nations, baptizing them in the name of the Father and of the Son and of the Holy Spirit, teaching them to observe all things that I have commanded you” (Matt. 28:19-20). This discovery of texts written before 1820 brings us to the conclusion that a remnant of the faithful, from the beginning of the Early Church until today, have upheld the great precious biblical truth of pre-Tribulation Rapture. Ephraem the Syrian’s A.D. 373 manuscript On the Last Times, the Antichrist, and the End of the World, along with Dr. John Gill’s 1748 Commentary on the New Testament refute the dogmatic declarations of a post-Tribulation Rapture. In my earlier book, Apocalypse, I quoted from the early Christian writing called Shepherd of Hermas (A.D. 110), proving it taught the preTribulation Rapture as the hope of the Church.